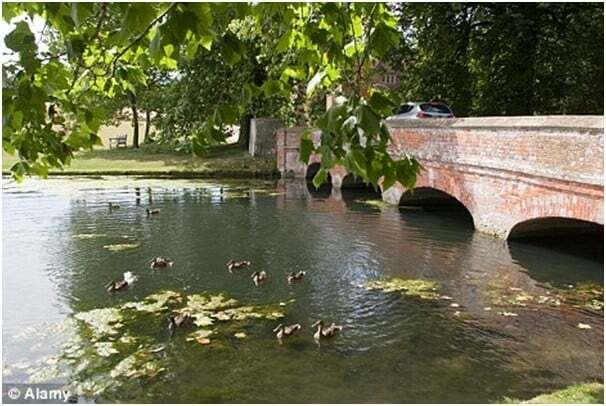 Living in the country – Dreaming of a different way of life? Many people seek solitude or just more of a back-to-the-basics type of lifestyle. Whether you plan to relocate from a large city or suburbs, you will find country life very different. Learn about living in the country and best rural places to live. There is nothing more breathtaking than living in the country with its lush greenery, minimal pollution and natural beauty. There are many advantages to living a quieter life. Perhaps you will pursue more self-sustaining habits, including composting, gardens and orchards, beekeeping, or a hydroponics system. Maybe you will consider raising backyard chickens. And if that isn’t all exciting enough, some venture into raising miniature cattle complete with a livestock guardian animal. The opportunities for learning and new hobbies are endless! You won’t need to do everything right away. That’s what rural living is all about — learning to live at a slower pace — but it is worth considering adopting modern homesteading practices. You are automatically integrated into the community. While some young families that have moved into the countryside may feel that long-time residents take awhile to get to know them, there are things you can do to help you assimilate faster. There are local events which bring the community together. Nothing is more effective at helping one join the community than volunteering at the many local events which take place there. Get involved and meet your neighbors. Moving to a small town and rural living is much sought after by senior citizens, retired couples, and others who seek solace. The lack of traffic and other city activity is welcome. In addition to a less stressful environment, you will probably have some beautiful views and wide open spaces. You will see more stars at night as the city lights won’t interfere. Going at a slower pace, with less bustle and stress, you can take time to watch the sunset and be up early to enjoy the sunrise. You may find you are able to enjoy more time outside as you garden, tend to animals, or set up an irrigation system. You will be able to enjoy the quiet and be more in tune with your surroundings, even as you are doing work around your homestead. While major shopping, tourist attractions and entertainment venues may be a big drive away, you are likely to find fun and entertainment closer to home, in simpler activities. There’s a ‘We are all in this together’ idea. School, sports, church, local craft fairs, perhaps some car groups and crafting clubs are often popular in smaller communities. You will likely see a fish fry, weekend barbecue and festivals. If there’s a high school in town, the community may come out to support the football games on Friday evenings. There is a tremendous sense of community, especially when someone needs assistance. Other aspects of living in the country may pose a problem at the initial stages for people. Some of these include power outages, the presence of wildlife and insects, and the transition it may take for those not used to living amid rural surroundings. You may need to “rough it” more than you did before. Also, depending on where you moved from, you may have downsized or may have moved into a home that needs repairs. Or maybe you aren’t used to having to maintain land. It may take awhile to get used to being more isolated from neighbors. During natural disasters or storms, it is common for those living in the country to be technically and geographically cut off from the world due to power outages, no Internet, fallen trees and other issues. The time taken to restore functionality will be greater since they are away from service outlets and have less homes and population to restore. Electrical companies and other service providers generally go to the denser areas first. In exchange for a more relaxed lifestyle, your country home may be a great distance away from healthcare providers, hospitals and urgent-care facilities. This might be a problem in the event that you require medical attention. Moving to the Country – Is this really the right property? The cost of building a sustainable home is much higher in urban areas due to the stricter building codes, zoning and other housing regulations. Many readers dream of a simpler, healthier life in rural areas where there are few or no building codes and costs are far lower. But what are the best rural places to live in? The United States is experiencing a rural resurgence as families are leaving urban areas and seeking out communities where crime is lower, good schools are present, and life is simpler overall. Homesteading is also becoming more and more popular among people with the charm of living a life close to nature. We’re seeing a definite trend of people choosing to live in the country rather than in urban areas,” says Jack Odle, editor-in-chief of Progressive Farmer. “And we wanted to celebrate that. Here are some of the best rural places to live in United Sates of America. All of these places have the common values of providing land at a good value and having vibrant local communities which have a flourishing local commerce scene. These areas are good places for someone to raise a family as the crime rates are low, there is plenty of fresh air to breathe in, and vast areas available to run around. There are good schools in all the localities that have been listed. It is important to have the availability of good schools and hospitals in the area where you want to settle in as these add a lot to the value of the community and provide social comfort as well. The trend to move out of crowded cities and live in rural areas is becoming more and more widespread. 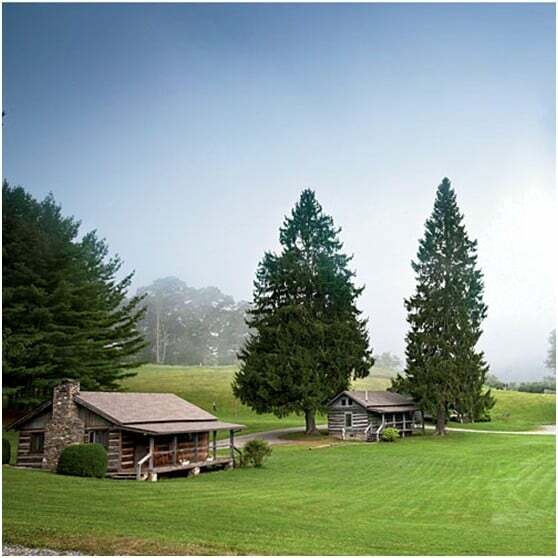 According to Kiplinger.com, there are rural areas that will entice you to move there. With a population under 3,000 people, it’s one of ten Kansas towns which offers free land for retirees and others to move there. Remember, on many publicized lists, there are small towns that feel more like large cities. If you are truly looking for a rural existence, you will want to note the difference. Consider if you want to move to a rural city, town or rural village. Moving to a rural area could be a boon for the environment as well. A number of studies have found that people who are living in rural areas are utilizing much lesser of the resources per capita and living a much easier sustainable lifestyle. There are also a number of people who find that they are more suited to the hands-on approach to the rural lifestyle. You will have more opportunities to use your skills in different ways, especially when you live off the land and from your talents and hard work. The above mentioned list is by no means comprehensive and only serves to provide a starting point for which to begin your search for good rural places to live in. The homesteading movement is spreading all across our nation. There are a variety of reasons for which people are taking the decision to live a rural life off the land giving up their city lives. These reasons vary from wanting to move to an area with lower crime, taxes and better schools to making the environmentally conscious decision to utilize less resources and try to be self sustaining in lifestyle. Whatever the motivation to set up your homestead may be, it is important that you fill up the legal form for the declaration of homestead. This is necessary as the law provides certain privileges to your homestead that can protect it from foreclosure because of debts to creditors under certain conditions. 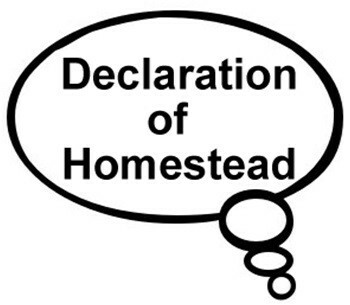 A Declaration of Homestead requires you to prove that the homestead is your primary place of dwelling. In certain states, just proving the homestead as your primary place of dwelling is enough to provide you with the same legal protection. These laws vary by state and make sure you are aware of your legal responsibilities before taking the decision to set up your own homestead. Filling the form is fairly straightforward. You can do it without any legal help. You can download them online. The form has to be notarized before submission, for which the legal fees have been capped by the government to a maximum of $25. The homesteading lifestyle is not for everyone, and it is advisable you look into what you are taking on closely before you commit. There may be options where you can attend hands-on workshops at functioning homesteads. You can also seek out community outreach and conservation centers, nurseries, nature and special-interest clubs, libraries and community colleges. They often offer classes on specific topics throughout the year. These places can be great resources to learn about living off-the-grid. Many teach about may teach about rainwater harvesting, attracting pollinators, planting native plants, preserving food, growing fruits and vegetables, wind and solar production, composting, prepping, and much more. This will allow you to get an idea of the activities that you can do. You may well find some new hobbies and friends. You can learn skills that will help you earn a living as well. Even if you don’t plan to earn money from your venture, you may save money and/or live healthier by growing or doing it yourself. It’s a great way to fully immerse yourself in the life you are considering. Be sure you are making an informed decision and not just following a trend when you decide to set up your own homestead. The environmental benefits are a draw as the resources that you consume and the strain you put on the environment is much less than those people who live in the cities. Be sure you to follow all your legal responsibilities when you are setting up your homestead. This includes building your homestead to code and filing your declaration of homestead to avail of the legal protection that the law gives you. Can the homesteading lifestyle provide an income too? So the question we are attempting to answer is what are the homesteading skills that will help you survive and even earn a living? There are a number of ways you can earn a living off your homestead. Grow fruits and vegetables and sell them at the local farmers market. You can preserve food by canning and dehydrating to sell. You can raise bees and sell honey. Many people rear livestock and then use them as a source of income. Sell milk and then meat from miniature cattle. Sell eggs from backyard chickens or ducks. If you have purchased a piece of land that is heavily wooded, that in itself is a huge opportunity to earn money. Timber companies will pay you good money to come and clear your land for you. All you need to do is inform them that you have standing timber which you are ready to sell. This sale can be either to large companies or individuals. There are always people looking to purchase firewood and you can cater to these people. If your land has a lot of rocks then that can too be a source of income as there are people who are interested in buying all kinds of rocks. You can set up a simple website to advertise the rocks you have to sell. You may see a surprising amount of interest in what most people see no value in. Again, you can raise livestock for meat and cows for milk. There are auctions in most small towns for livestock of good breed. You can raise them and then sell them for profit. Depending on your space, you can also consider small cows instead of full-size. You can have ducks and chickens on homesteads. Chicken and duck eggs are always in demand wherever your homestead may be. This can be for food as well as income. You may be able to raise quail along with chicken and ducks. You can sell quail eggs for more money than chicken eggs. Often you will have equipment you aren’t using regularly. You can rent out tools, a generator, tractors, or heavy equipment to make extra money. Once you are skilled in these various jobs, you can earn money for them. You can offer classes and workshops in town teaching any number of things. From there, you may want to hire yourself as a consultant, helping people get started in a new hobby, craft or trade. You can be the expert in rainwater harvesting, milking cows and preserving milk, bird watching and building birdhouses, beekeeping, cultivating organic seeds, making cheese and butter, growing berries and making jam, or building furniture. There are endless opportunities when you live in a rural place. With your skills, you can help others get started and grow your business. Homesteading is spreading across the United States. More and more people are interested in acquiring the necessary skills that will let them live off the land in a wholesome and self-reliant manner. There are homesteading schools in certain parts of the country. Taking a class can often be easier than trial and error, and you will often find success faster. All kinds of people attend these homesteading schools and workshops, not necessarily beginners. 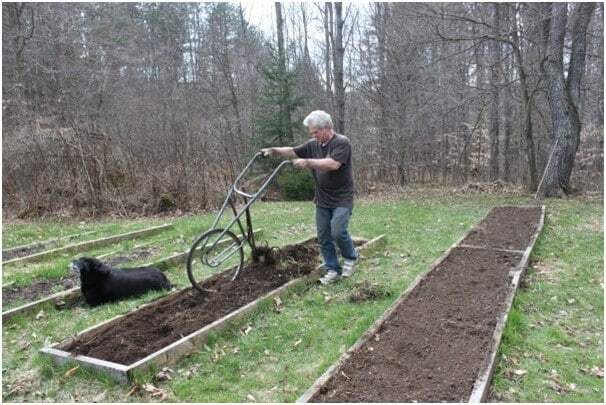 A number of people took the plunge into homesteading and then realized that there are some skills that they needed to polish or learn from scratch. These schools have started receiving help in the form of fiscal support as well as access to facilities by corporate players in the field. Having a pole barn on your property is a cost effective way to have some sizable storage space. Depending on the use of the barn, insulating it may be necessary. Proper insulation provides a number of advantages. It make the barn safer for the animals inside by helping to regulate the temperatures. It also makes the structure a more comfortable place for the people that work there and even help prolong the lifespan of the structure as a whole. Insulation helps combat the two main problems most commonly faced with pole barns: extreme temperatures and moisture. Any pole barn that is going to house animals should contain reflective insulation. This will help to protect the livestock and poultry from excessive heat. An increase in the heat stress on the livestock has a direct effect on their milk production, fertility and may make them more susceptible to disease. Reflective insulation controls indoor temperatures. It reflects heat away from the building. It also helps control condensation. By using spray foam insulation, you can prevent water and moisture when insulating the pole barn. An important thing to consider is to avoid using pure urethane for foam insulation as this can ‘rot’ when exposed to excessive water. Most new spray foam insulation formulas are designed to avoid degradation that can occur over time. Another way to combat this moisture buildup is to use a heavy duty plastic sheet in between the insulation and the metal side of the barn. The only downside is that the metal can rust due to the trapped moisture if left undisturbed for a long period of time. There are a number of different types of methods that can be used for pole barn insulation. This is commonly found in steel buildings and it may be housed in vinyl. The advantage with this type of insulation is that it does not require additional support on installation. The fiberglass sheets are easily available at the hardware stores. These are fixed in place with the help of steel nail guns. This is probably what most people associate with when they think of pole >barn insulation. This kind of insulation requires the addition of a vapor barrier alongside. The fiberglass board should be installed with a custom cut to ensure that it fits tightly. This is the most widely accepted way to insulate a pole barn today. You will be hard pressed to find someone who does not agree that this is the best method for pole barn insulation; however, it turns out to be fairly expensive. If this falls within your budget, then it is a viable solution. There are many options that you can use to insulate your pole barn. This is a great investment when you move to a rural location. Maybe you will consider a generator or a solar backup generator. Making the decision to move from a busy and bustling city life to the comparatively quiet and peaceful country, might seem like a radical decision. However, once you start living in the country, it will hard to imagine anything different. You will likely thrive living a rural existence. When you start thinking of homesteading and rural activities that will interest you, you will like it that much more. If it is too intimidating to move out of state, consider options closer to where you are now. Many major metropolitan areas have outlying areas several hours away that are very rural. Perhaps you get acreage outside of the county limits. Consider your options and make it happen. You will want to consider homesteading, including declaration of homestead and modern homesteading skills to be successful. Argenteuil county Quebec Canada is a wonderful rural area. We have a cottage in the Laurentian foothills in the north part of the county. It’s about 1300 sq. k. with a population of about 32.5 thousand people. 12.5 live in the county seat Lachute, 7.5th in the next largest town Brownsburg-Chatham and aprox. 1.5 th in Grenville, on the Ottawa river. The county is divided politically into 9 townships of varying size and population. Geographically, it is divided between farmland in the south and southwest along the Ottawa river, and cottage country or lake country in the north, north east and north west in foothill country. The population is 32th + white with aprox. 45o – non whites. There are excellent schools in both English and French. I invite you to go onto images for Argenteuil (ar jean toy) Quebec and see for yourself. We get tons of American tourists and many families who come yearly.